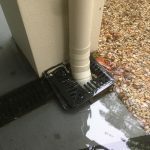 Do you need help clearing a blocked drain in Brisbane? 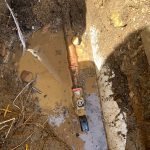 Slow running, smelly, blocked drains, toilets that won’t flush or that block up, soggy patches in your back yard, faulty storm water drains – these are all signs of blocked drains. Our Plumbing Service will clear your blocked drain or toilet. We use a state of the art high-pressure drain “Jetter”. This high-pressure machine uses a 4300-psi pump to deliver a water blast from rotating nozzles. The Jetter doesn’t just munch away at blockages and tree roots, it blasts them away! This means your drains stay clear for longer, saving you in future call out fees. Our Jetter comes with 60 metres of hose, which means that even the longest drain can be cleared simply and easily. And even better, our Jetter hose can easily be fed through a vent, overflow relief gully grate or toilet pan, which means no digging to get to your drains, or dragging heavy equipment through your house. The noise and heavy machinery stays in our truck outside. Of course, if the blockage is found to be in Council pipes, we will contact the relevant authority on your behalf to manage the clearance. Electronic camera locating is used once we clear a line with the Jetter. This process saves time and money by locating the exact position and depth of the breaking. Once located, we can efficiently dig up and replace the compromised section of line without having the replace the entire line. 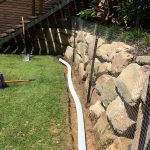 You can also save yourself money by digging the trench yourself with one of our team completing the drainage for you. 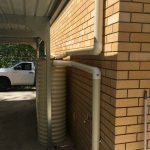 Our Plumbing Team Service Brisbane North and Western suburbs and will help you out quickly and effectively.